As it’s the last day in January, we understand that many people begin freshening their homes, we thought we would write you a guide for maintaining your home whilst freshening it up. The most common thing we get asked about is how to remove mould! 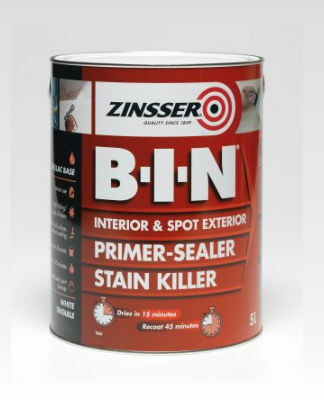 We get many people ask about Zinsser products when it comes to mould. 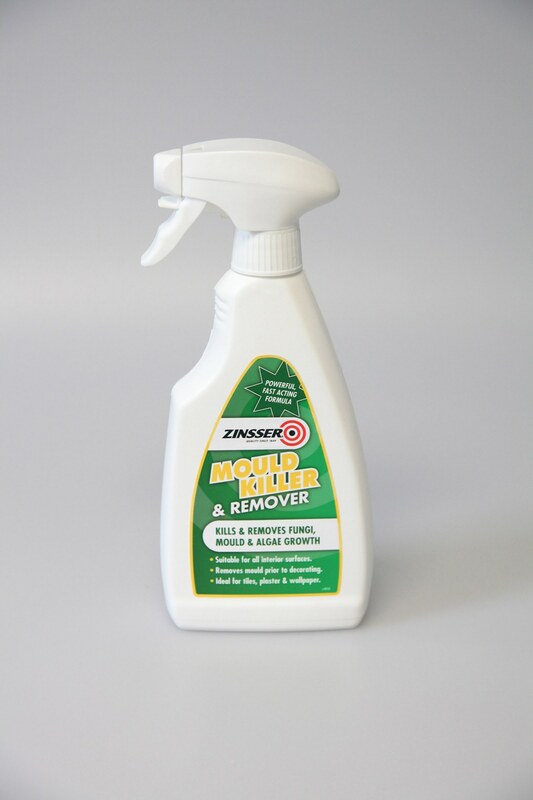 We’re sharing with you the best way to use Zinsser to get rid of mould. We constantly get asked about mould removers and how to prevent the nasty black spots. The first thing you will need to do is reduce the amount of moisture that is being produced in enclosed areas. A great way to reduce moisture is to make sure your room is ventilated properly. 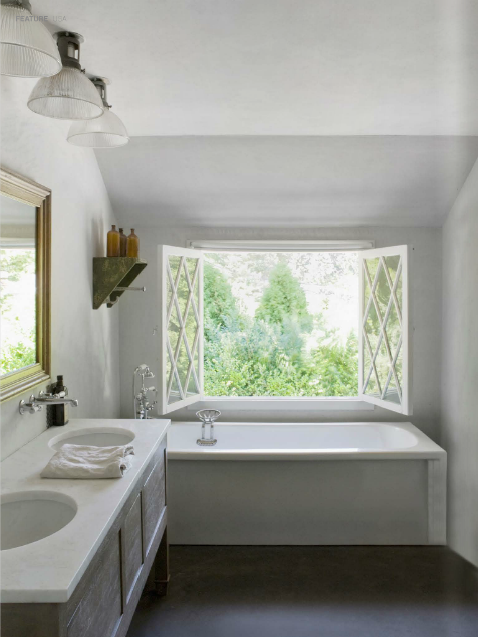 Simply remembering to open windows after having a hot shower/bath can make a difference. We also recommend that you make sure your home is insulated well, because this reduces the amount of cold surfaces within your home. Having less cold surfaces reduces the amount of condensation. Unfortunately, there is no avoiding moisture in areas such as bathrooms and kitchens, but helping to prevent moisture is a brilliant start. Killing mould in your home can be done in 3 simple steps. The very first thing you will need to to do is apply the area with a mould killer/steriliser. This particular mould killer can be used on wood, tiles, plaster and wallpaper. It is best to make sure that the mould killer/remover is suitable for all interior surfaces. As the mould has most likely spread to other surface areas. Often it is understandable to want to paint straight over a clean surface. However, the surface that you have cleaned and removed mould from is more than likely going to try and grow back. The next step is to prime the area you have just cleaned. By priming the area you will be able to encapsulate the mould and stop the mould from expanding . Zinsser B-I-N is formulated to adhere to almost any surface allowing for topcoats to stick better to a variety of surfaces: glossy, enamel paints, clear finishes and many more. Great news about this product is that it also blocks any odours. Once you have primed and sealed this area, you will be able to paint over in the colour that matches the previous surface. Once you have re-coated you can rest knowing that the previous steps have already killed the fungi in your home. Remember that keeping your home well ventilated to also help keep the mould away. by following these three simple steps, these will help freshen up your home. 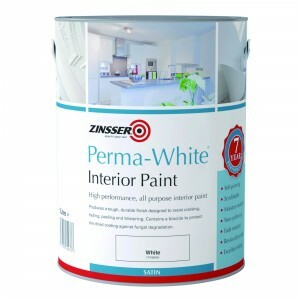 I would highly recommend Zinsser Perma White (Interior Paint) as this product contains an anti mould additive and can also be tinted should you require a different colour. The simple steps will help remove the mould from your home. With a quick lick of paint, your home will look fresher than ever for 2019. We hope you enjoyed our first blog of 2019, if you like it please comment and share.